You’ve got questions, and we’ve got answers! SheKnows’ contributing beauty and style expert, Luke Reichle, is taking your submissions and dishing out no-fuss answers! In celebration of today’s release, Rock of Ages, he’s showing us how to get our rock and roll on! You’ve got questions, and we’ve got answers! SheKnows’ contributing beauty and style expert, Luke Reichle, is taking your submissions and dishing out no-fuss answers! In celebration of Friday’s release, Rock of Ages, he’s showing us how to get our rock and roll on! There is no doubt that the rock movie is on a roll. Within a week of each other, Broadway transplant Rock of Ages opens in theaters, and a biopic about CBGB, the New York club that incubated the incubus of Punk Rock in this country, begins filming in Savannah, Georgia. A review of the rock and roll landscape of the past five decades yields some strong female influencers. The looks were often challenging, occasionally groundbreaking and in the case of the group below, always entertaining. These are the ones that stuck with us. They’re tattooed on our inner-vision — a flipbook of fabulous. Should you be looking for a musician to model and find the look of today’s ladies of R&R off-putting, dip back into the style pool for some inspiration. These are the image-makers of Rock and Roll. They spanned social classes and spawned fashion trends that delighted the fans and terrorized their parents. 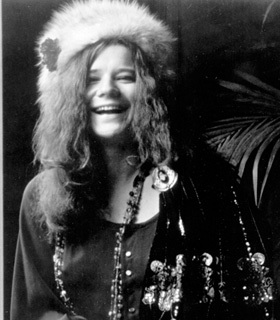 Janis Joplin: Peasant blouse, maxi skirt, large round sunglasses and an ostrich feather to jam in a mass of curls. Did I mention a mass of curls? Joni Mitchell: Which one? There’s the ’60s granny dresses, the black beret of the ’70s or the Issey Miyake cocoons of her present day fabulousness. Stevie Nicks: Seven to 10 layers of lace and satin circle skirts that will fly up at the smallest provocation. Victorian bombazine basque with leg-o-mutton sleeves. Bjork: Many a summer dies the swan, so, anything with feathers. Sinead O’Connor: Buzz your head. That should just about do it. Annie Lennox: Orange brush cut, black suit, white shirt, black tie and Zorro mask. Look directly into camera. 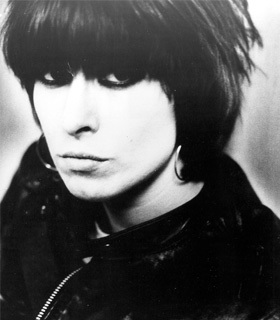 Chrissie Hynde: Bangs, lots of black eyeliner, black tank, four-in-hand tie and a scowl you can hold for three decades. Joan Jett: Severe black bubble shag, sleeveless gold lamé T-shirt and a neck full of lethal looking chains. Pat Benatar: Blonde kabuki metal hair, black lace T-shirt and short black leather gloves. Preferably worn while making a workout video. Patti Smith: White menswear dress shirt, black jeans, close-set suspenders and a black suit jacket to throw over your shoulder. Scowl optional. Madonna: What else? A cone bra. Or black crinolines and rosary beads. Or all three. Lady Gaga: A gift card to Ace Hardware and a LOT of imagination. Tina Turner: An extremely short dress, preferably spangled, and a truckload of fierce. Aye! Tina! Debbie Harry: Platinum Cleopatra bob and short sleeve white T-shirt with a two-color Warhol portrait of oneself. The essential item of any self-respecting Rock and Roll closet: At least one if not several of the seemingly infinite permutations of the black leather moto jacket. And above all, an attitude. Rock on sisters. Rock on. Hey y’all! I’m really excited about my new show, Secrets of the Red Carpet, now streaming live on Saturdays at noon PST, 3 p.m. EST, with all episodes available on video on demand. Go here now! Teasing, backcombing or ratting: However you say it, big hair is back in a big way. Learn how you can pump up the volume.